ANN ARBOR, Mich., December 06, 2016 - The US Centers for Disease Control and Prevention’s National Institute for Occupational Safety and Health received a simulator upgrade from Mechanical Simulation Corporation. The QuadDS simulator was originally installed in March 2014 at the US CDC NIOSH facility in Morgantown, WV for research purposes. 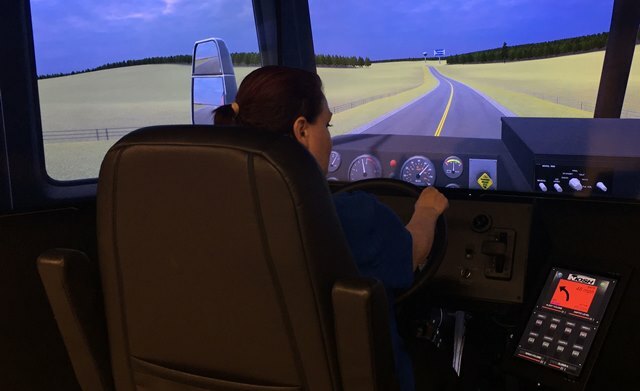 The simulator upgrade included a turn signal/cruise-control stalk, a curve-speed warning controller for human factors research, fire truck sirens and horn controls, and TruckSim datasets as well as 3D models for pumper, tanker, and ladder trucks. The vehicle models also include a liquid level selector to simulate slosh forces. The curve-speed warning and sound controller were installed as a peripheral/HUD device mounted to the simulator chassis. The curve-speed warning controller user interface displays the driver’s current speed, direction of the upcoming curve as well as the recommended curve speed. If the driver is going faster than the recommended velocity, the controller provides visible and audible alarms of increasing urgency, signaling the driver to reduce speed. In addition to monitoring fire truck driver’s steering and braking response, the simulator is also interfaced to instruments measuring eye gaze position and skin temperature. 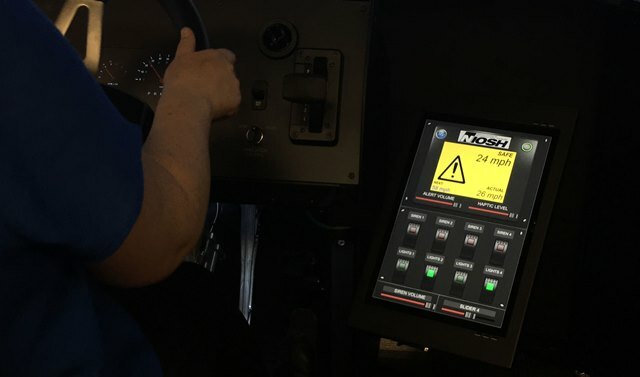 The unique architecture of the QuadDS simulator allows NIOSH to record all vehicle performance, driver inputs, and driver state information into a single database they can later use to evaluate the effectiveness of the warning system and measure the driver’s acceptance of the warning system. "The reconfigurable nature of the QuadDS driving simulator provides NIOSH with an engineering tool they modify and update to meet the requirements generated by their research teams," states Robert McGinnis - Senior Account Manager at Mechanical Simulation Corporation. "We are always excited to learn about new projects slated for the simulator." About Mechanical Simulation Corporation: Mechanical Simulation Corporation is a technology leader in the development and distribution of advanced software used to simulate vehicle performance under a wide variety of conditions. The Ann Arbor, Michigan company was established in 1996 and provides car, truck and motorcycle simulation packages and interactive driving simulators to more than 90 OEMs and Tier 1 suppliers, and over 160 universities and government research groups worldwide. For more information, visit www.carsim.com.